Even a mild interest in homebrewing has a habit of growing into a full on passion for the hobby. Beer and ale enthusiasts turn to homebrewing to save money, craft their own unique drinks, and in general be a part of a practice that dates back to the earliest human civilizations. The excitement and enthusiasm associated with this hobby can cause newcomers to get a bit ahead of themselves. 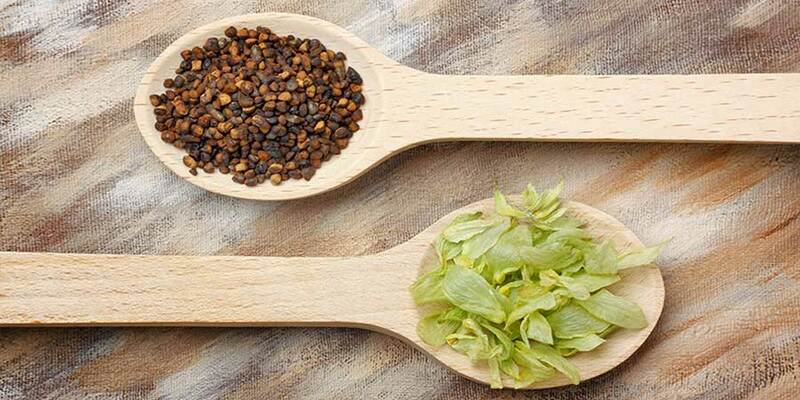 Throughout the journey of learning how to brew beer, everybody will make mistakes. It’s inevitable, and it happens to the best of us. Mistakes are simply part of learning any new craft, whether it’s homebrewing or woodworking. Frankly, making mistakes are a good thing. 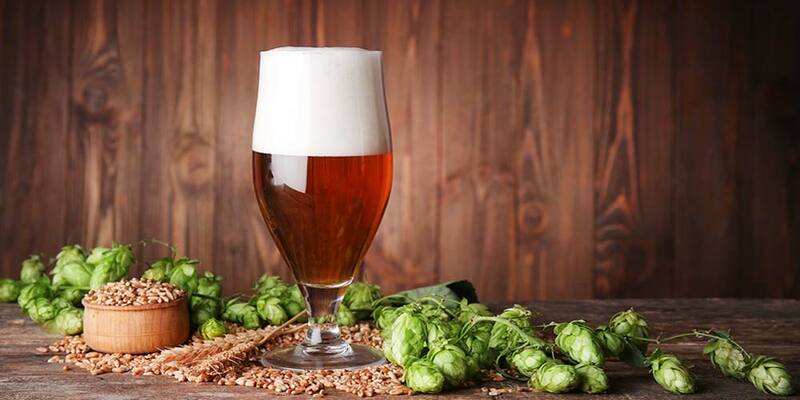 They provide you with an opportunity to learn, refine and, ultimately, gain more knowledge on the brewing process. But, nobody wants to waste their time, or money. Which is why learning as much as possible about homebrewing is essential for every beginner. Not just to ensure that you’re making the best tasting product, but so you don’t waste too much of your time and money along the way. 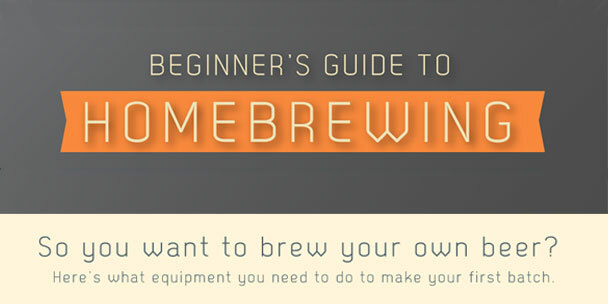 The following are some of the common mistakes that beginner homebrewers make. If you’ve done any of these, don’t worry… we all have. But, here’s what you need to know, so you know how to avoid them. Immediately trying to craft a difficult brew or aiming for a too large of a batch is a sure fire recipe for disaster for any homebrewing newcomers. Excited beginners, including myself, have a habit of setting their sights high. This is fine, but homebrewing is about fermentation after all — you have to let your skills age and develop too. That’s part of the fun. That’s where you learn the most about the craft. Beginners should start with a simple recipe and plan for a small quantity. Try to plan ahead and know what brewing equipment you will need, before you discover mid-batch that you’re missing something. Don’t get in over your head too fast. You’ll have plenty of time to brew beer. Start slow, perfect the technique and then scale out accordingly. Patience is essential in this stage. 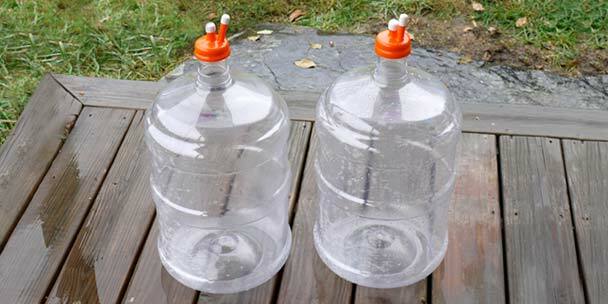 Proper cleaning and sanitization is the single most important practice in homebrewing. Fermentation is the key to brewing, and there are both good and bad forms of fermentation. 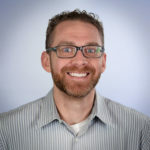 Dirty hands, surfaces, and equipment can all contribute to the introduction of bacteria and other ingredients that can ruin your batch. It will happen if you don’t clean your equipment. 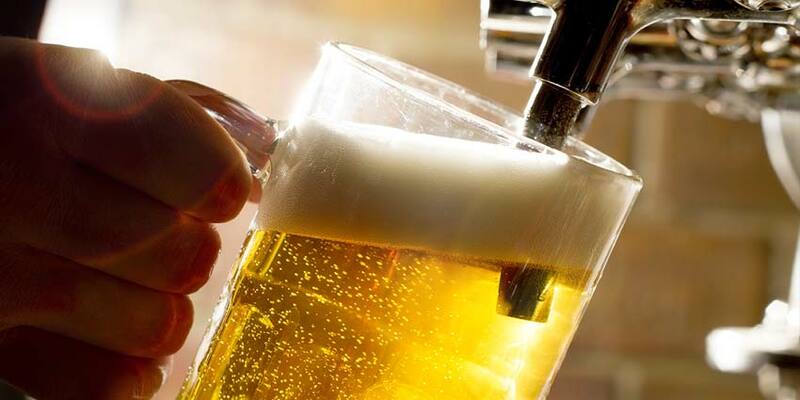 Experienced brewers clean all of their brewing equipment and surfaces throughout the entire brewing process. It’s recommended that you get a cleansing or sanitizing solution that is made specifically designed for brewers. 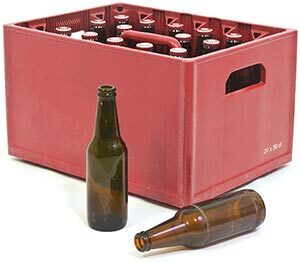 Scratched and damaged brewing materials should be replaced immediately as well, as they tend to store more bacteria. This really cannot be understated. You absolutely must clean your equipment if you want your final product to taste as you intend. 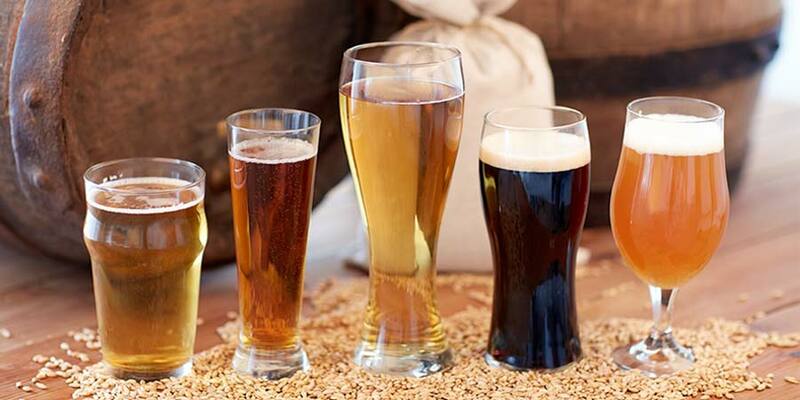 The smallest little contaminant will alter the overall flavor, clarity, and color of your beer. Water is the simplest, cheapest and most important ingredient used in brewing, yet many brewers still use plain old tap water for their brews. Water sets the stage for quality and taste. Think of the water as your blank canvas. Tap water is anything but a blank canvas, as it contains chlorine, dissolved solids, and any other number of contaminates that are known to greatly affect flavor. Personally, I prefer to use spring water or another source that has been run through a Reverse Osmosis / De-Ionized filtration unit. 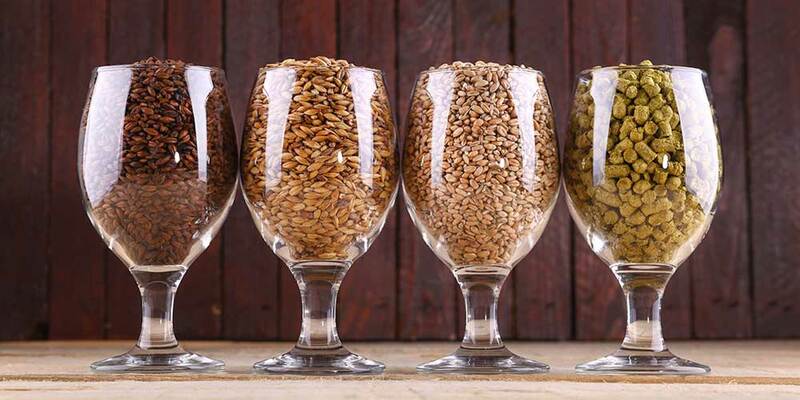 Experienced homebrewers have one major thing in common — precision. While there is no shortage of trial and error involved with brewing you still need to have a solid understanding of brewing fundamentals before experimenting. Beginners often fail to make precise measurements of ingredients, typically the result of impatience or failing to carefully read instructions. Extra sugar may over carbonate a brew, and even recently expired ingredients may sour a batch. Whether you start off with a kit of brewing ingredients or combine ingredients individually, it would be wise to follow your recipe closely and precisely, as well as take notes along the way. Proper temperature control is vital for producing best quality brews. Beginners often fail to monitor temperatures during the fermentation process, which can be affected by a room that is too hot or cold. 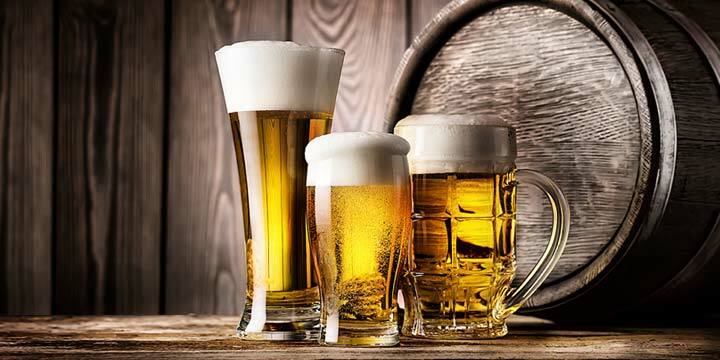 The fermentation process increases the overall temperature by as much as 7°F; excessive temperature can increase alcohol content and over sweeten brews. Thermometers are a home brewer’s best friend, so make sure you have one. Yeast packaging will almost always include ideal temperature ranges for both fermentation and storage, as well as other pertinent instructions. Last not least, beginning brewers should get in the habit of monitoring the wort while it cooks, as it is known to create a big mess when over boiled. One would be hard pressed to find an experienced homebrewer that hasn’t produced their share of less than optimal batches — particularly when they were just starting off. Bad batches happen. It is simply a part of the hobby. Believe me, you should’ve tasted my first attempts at brewing beer. No really… it was that bad. This is why you should take plenty of notes documenting what you did during the process, as well as possibly what you could better. Make these changes: refine, perfect and try again. There are always intangible factors during the process, even when one follows the directions to a tee. 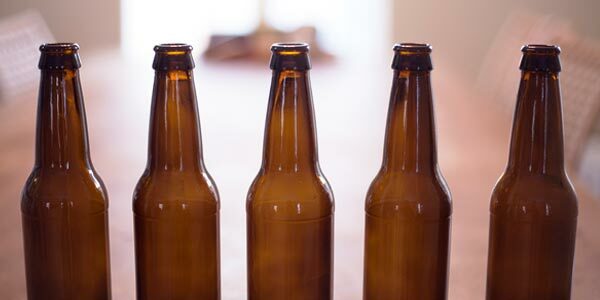 But on the flip side, you’ll quickly realize that your early batches are getting better, especially when you start off with beginner-friendly homebrew recipes. Remember: Mistakes Happen. Practice Makes Perfect. Successful homebrewing comes down to having patience, following instructions, using the proper ingredients, and understanding one’s limitations. I would recommend that any new brewer take advantage of every resource they have available to them. Whether it is a simple book about brewing or reading in-depth tutorials, or joining a homebrew club, it’s wise to pick the brains of anyone that can offer you some insight. Most importantly, like all hobbies, brewing is supposed to be fun. Hopefully, avoiding the mistakes listed above will help keep this hobby as rewarding as it should be. You mention using reverse osmosis water. I was under the impression that mashing with this water was a no go because of the lack of minerals in the water. Wouldnt the Ph of the mash by way to low? 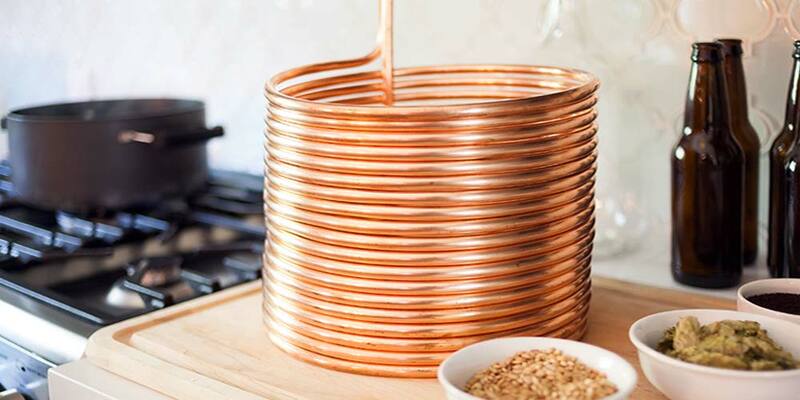 If you begin brewing with extract, ro or distilled water should be fine, the extract will provide the needed minerals. I wouldn’t use ro or distilled when mashing all grain, here you need the minerals. I’ve been a home brewer for about 15 years and I use RO filtered water. If you install a re-mineralization unit between the R/O tank and the filter feed, you’ll end up with the best of both worlds: perfectly clean water (<20 ppm of dissolved solids) will be re-mineralized in a coral matrix. These re-mineralization "filters" are not that expensive – around $50 – and last for many years. To me, it's the best of both worlds. You can't count on other water sources having the right mineral content, either, and well water comes with natural arsenic and lead. Just my two cents, but go with reverse-osmosis re-mineralized if you can. Don’t forget patience. I see so many new brewers that can’t wait to taste their first beers and don’t let the yeast finish it’s job, creating a host of off flavors. I would also suggest to the beginning brewers to cool your wort quickly (within a half hour or so) to avoid off-flavors in your beer. Remember everything that touches that cooled wort should be sanitized! Have fun! You need the minerals in water, distilled and RO water inhibit yeast growth and production. Be sure to use salts when brewing with these, usually available at the brew store. Chlorine also dissipates when you heat the water, but i would still check your local water report and see if there is high levels of any mineral that will hurt your beer. Some places have very hard water that will contribute to off flavors. I’ve been brewing for 6 years with my brother and cousin. We make a very good beer and have fun doing it. High fermentation temperatures could potential make the yeast a bit more active which would increase alcohol content albeit slightly however that is the exact opposite of a brew tasting sweet. That occurs when the yeast stall or stop fermentation not when they are warm. I have had best results with distilled water and Burton Salts. The Beer Machine has fun kits and equipment for beginners. Thanks a lot for your advice, trying to read and watch as much as I can before I try my first batch!